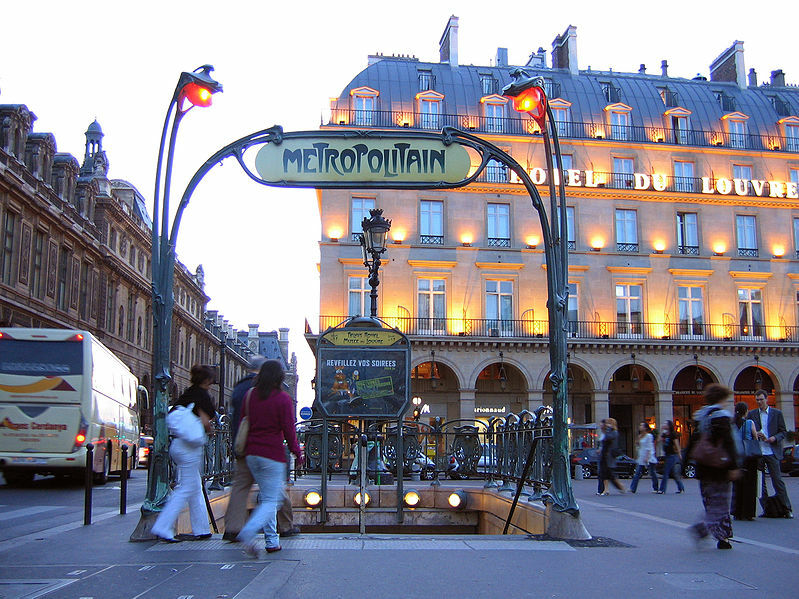 With 4.5 million passengers a day (1.479 billion a year), the Paris Métro is also the second busiest subway system in Europe (after Moscow). It also boasts the busiest underground station in the world: Châtelet-Les Halles, which is serviced by 5 Métro lines and 3 RER commuter rail lines. Being a bit of a history nerd—if not exactly a city planning or public transportation geek like some of my friends—I sometimes see the name of one of Paris’s 297 Métro stations, and I ask myself: Who was Étienne Marcel, anyway? What exactly happened on the Fourth of September? Why’s that station called Le Peletier (“The Furrier”)? So I thought, why not give the backstory of some of these stations, like I do with French pastries? Not a bad idea, huh? So … here’s the first: Châtelet-Les Halles, of course! P.S.—You can also find some funny observations from the Paris Métro that have appeared in my Facebook statuses here. I also have a slideshow of some of the poignant, the amusing, and the absurd moments I’ve captured with my camera here.